I love a good Weight Watchers Soup Recipe. They are almost always on my menu plan once per week since they stretch my budget further and are super satisfying. 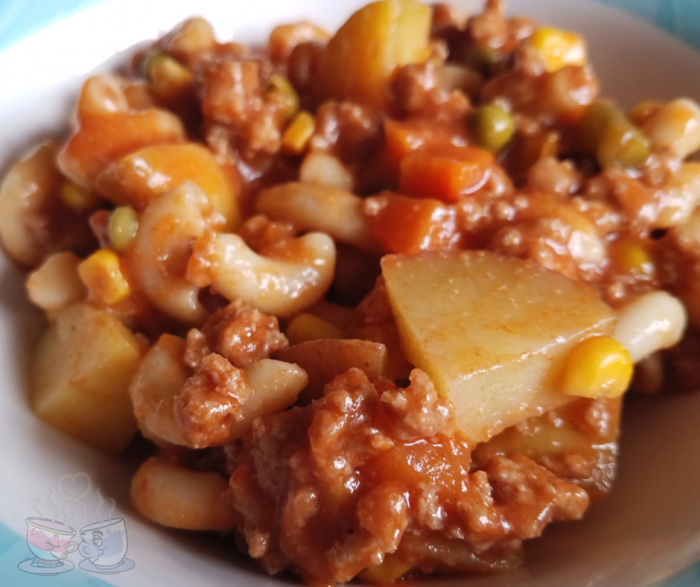 I like this Ground Turkey & Vegetable Weight Watchers Soup Recipe the best since hands down it is one that everyone in the family will eat without picking anything out of their bowl. You know what it is like to make a soup and have one family member who picks out bits of onion, or one who doesn’t eat the peas or mushrooms. This recipe is one that we all love and ask for over and over again. In fact, I believe I have made it at least twice a month the last 3-4 months! This post does contain affiliate links. I make a small commission through purchases made through these links. 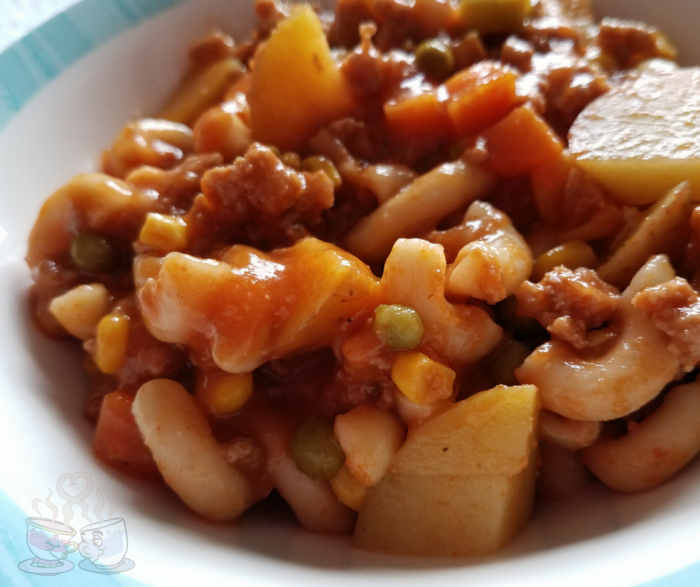 I took a classic comfort food recipe from childhood and turned it into this great Weight Watchers Soup that is going to be a favorite easy recipe you will adore. Using Ground Turkey & Vegetables for this soup makes it healthier and full of flavor. We call this Weight Watchers Comfort Soup and it definitely suits the name. By letting it simmer for a little longer, it builds a nice broth that is just delicious. You’ll be a bit surprised by my secret ingredient, and probably laugh a bit by how it came about. A few years ago, I took care of my grandparents when they were unable to take care of themselves. One of my grandpas only meals that he really enjoyed was a basic vegetable soup. The base for the broth was actually a can of classic Campbell’s tomato soup with water. 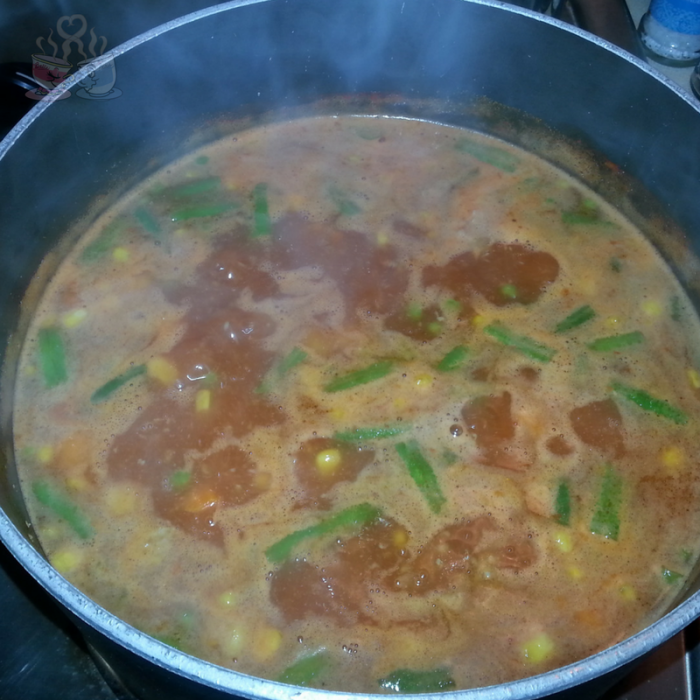 We added all kinds of vegetables to that broth, but he loved the richness that added to the soup. Well, as I was playing around with different ways to add depth of flavor without fat and calories, I decided to just go with what I knew. Surprisingly, this worked great. While I tend to avoid most processed foods these days, this just suited my needs and is one of those random things I will keep in my pantry for this one recipe for sure. In a large stockpot, heat olive oil and cook ground meat over medium-high heat until no longer pink. This usually takes 5-7 minutes stirring occasionally to break up meat into small chunks and prevent sticking. Mix in all other ingredients except macaroni and stir well to incorporate well. Reduce to medium heat and allow to simmer for 15-20 minutes stirring occasionally. Add in macaroni, remove from heat, and cover. Allow mixture to sit for 15 minutes. Remove lid, and stir. Pasta should be softened and ready to serve. I have this set of great pots and pans that I inherited from my Beau when we got together that has one large 8-quart stockpot that is ideal for this Weight Watchers Soup recipe. I love that I can cook my ground meat in the bottom of the pan, then drain any excess fat if needed, and then toss ingredients into it and simmer the soup. The lid fits perfectly on top, and I can let it cool off while we eat dinner, pop the lid on top, and simply stick it right into the refrigerator to store. I am rather lazy and hate dirtying more dishes than necessary. So, yep, this all in one thing is my favorite to cook with. You can easily add any pasta to this dish, or even make the soup without pasta and serve over rice or with crackers on the side. Our family prefers the pasta to thicken and make it more satisfying. 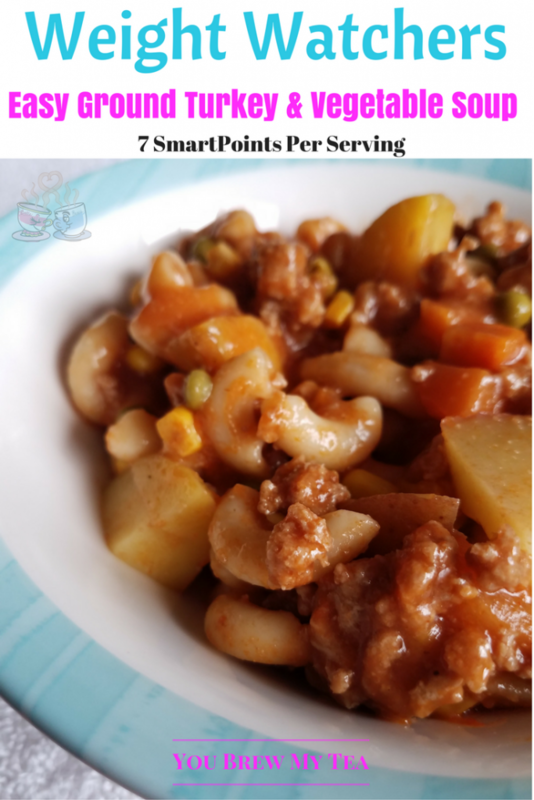 While it would be lower in SmartPoints without the pasta, I found that it just wasn’t as satisfying and it was much harder to find something to add to the meal that would give me the feeling of comfort for fewer points. For the few points the little addition the pasta added, it was well worth the comfort. I joined Weight Watchers online recently and honestly have been blown away at how much I was missing trying to do this on my own without the community support. I am not an affiliate for them, just in love with the program. So, I run all of my recipes through their recipe creator now. You may also be interested in investing in the Weight Watchers SmartPoints Calculator if you are going to be making a lot of recipes at home. This recipe makes 6 Servings. A serving is approximately 2 cups. I know you will enjoy this rich and broth filled Ground Turkey and Vegetable Weight Watchers Soup recipe just as much as my family does. It’s a great recipe that definitely deserves the name Weight Watchers Comfort Soup! Don’t forget to check out all of our great Weight Watchers recipes below! How much is in each serving? Hi Becky, we divide this into 6 servings. There are 3 of us. So, we portion in advance. 2 bowls right away, and then put into 3 containers for easy reheating the next day for lunch or dinner. I don’t know exactly how much it is, but I believe it is around 2 cups for our containers. Can you give me a calorie county per serving – I don’t see it listed in the information.